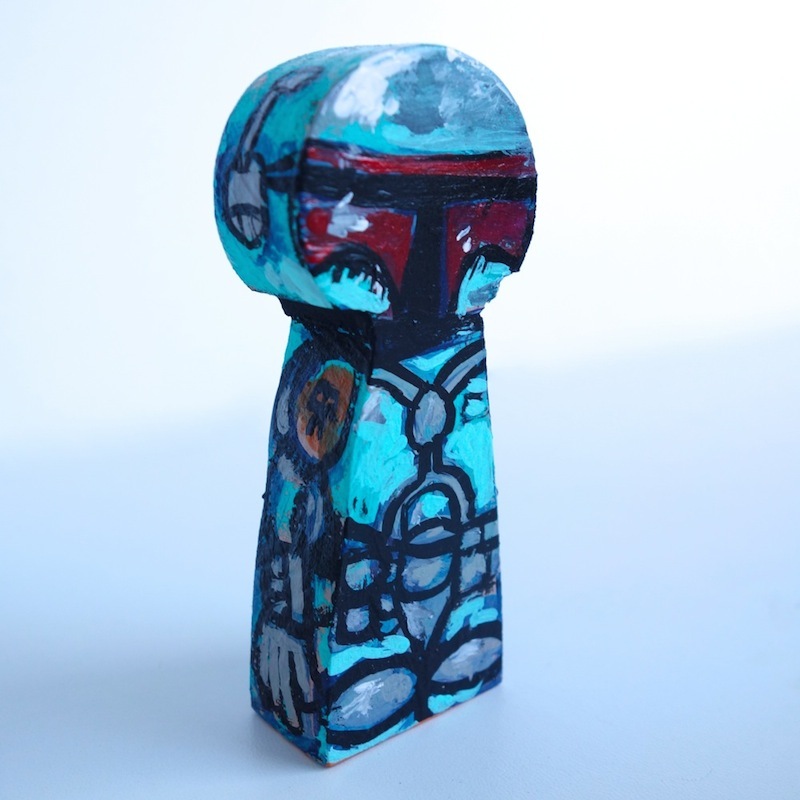 I’ve posted multiple times about artist John Soukup’s line of wooden figures (see here and here) and I’m back with more. 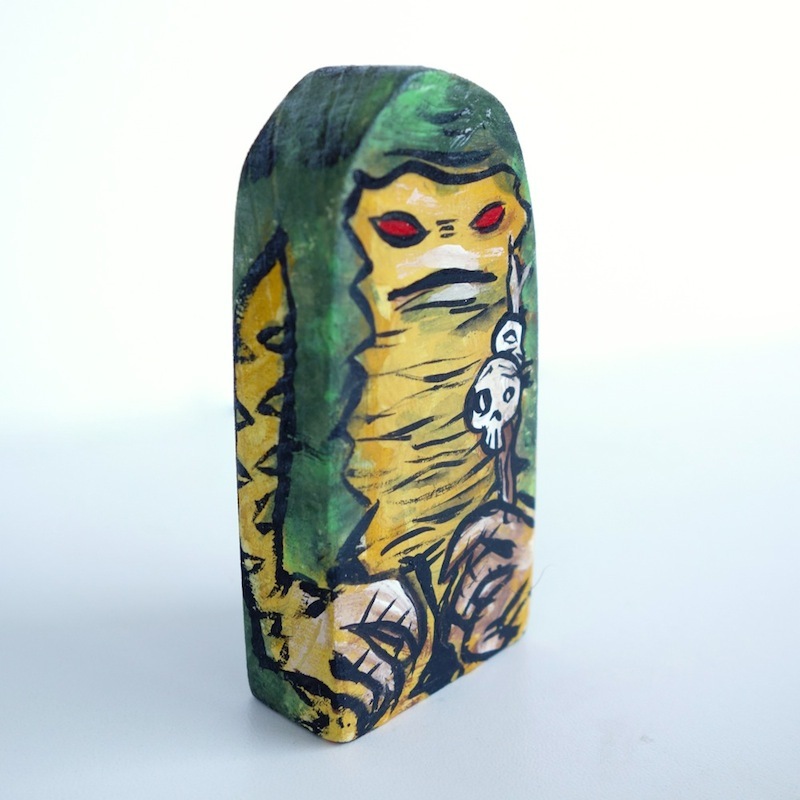 I like adding new characters to my Jabba’s palace display, and he’s made several versions of Jabba that are quite different as well. 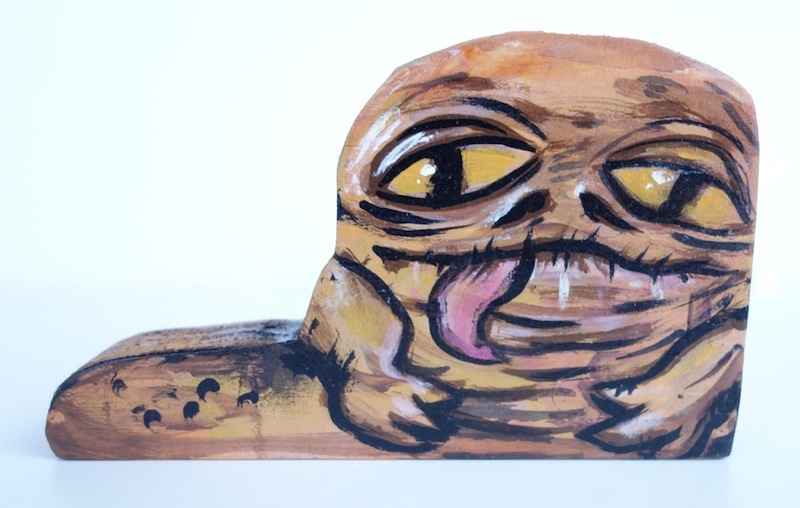 This Jabba has much larger, almost anime-style eyes, but I think he may be my favorite yet. Boba Fett was of course a natural addition to go with Han in Carbonite. 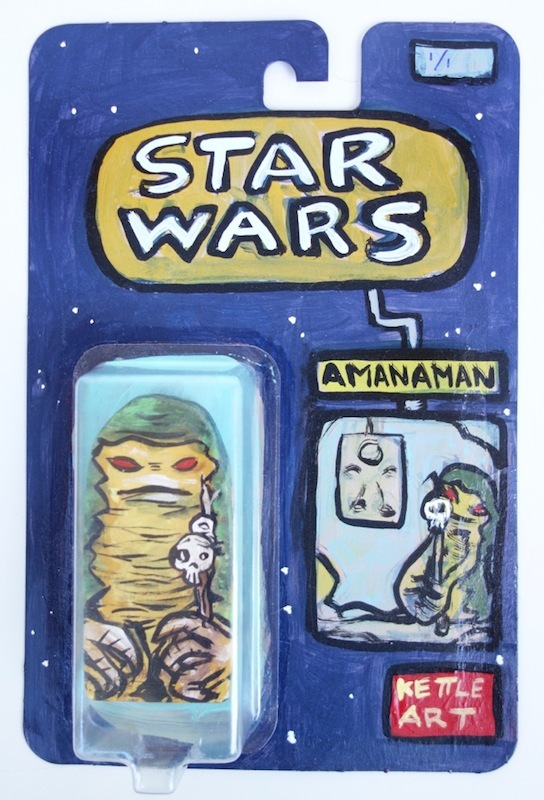 The last new figure, Amanaman, is different in that he was originally “carded.” John painted a card for him using an old Attack of the Clones-era cardback, but the bubble came off in shipping. I don’t really mind, though, since I probably prefer to be able to display him with my other figures. I think it’s quite a nice version of the character.